It’s hard to believe it’s been five years! This week, July 23rd to July 28th, marks the 5th anniversary of Toronto's World Youth Day. Salt + Light Television is marking the occasion with a whole slate of special programming. Click HERE to see what we have scheduled. Throughout this week we'll also be posting on the blog some of the staff's experiences at this life changing event. 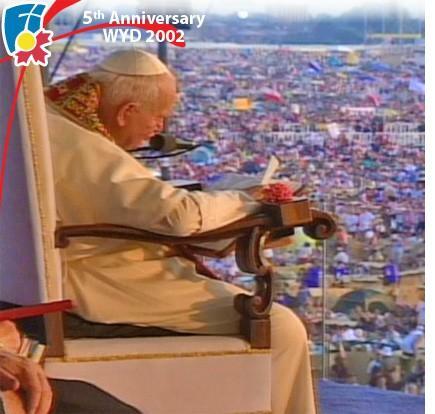 If you'd like to share a WYD2002 memory, feel free to add your comment too!